Most people you run into try in at least some way to stay healthy through exercise and eating foods that benefit their bodies more than harm them. When it comes to different forms of pain management, there are those who do the same—consume foods that benefit them. While prescription medication is the ideal solution for dealing with conditions, such as arthritis and inflammation, that require pain management, it may not always be readily or immediately available. However, until that option is available, there are foods out there that are said to heal in some ways or at least help someone’s wellbeing by abating painful symptoms. Some them are described below. Registered “nauropath” Simone Jeffries says, “Turmeric has been used for centuries for the prevention and treatment of inflammatory diseases, such as arthritis and autoimmune conditions.” Turmeric is easy enough to consume, usually in powder form or used fresh for curry. It can also be used in scrambled eggs or roasted vegetables to not only provide its supposed health benefits but also its unique flavor. Honey, and especially Manuka honey in recent years, has long been a go-to solution for natural nutritionists who seek to use it for the flu or the common cold. A holistic nutritionist, Kate Callaghan, said, “Manuka honey in particular has been shown to have antibacterial effects, which is thought to be due to its low pH level and high sugar content that hinders the growth of microbes. Raw honey also contains certain phytochemicals, which reduce inflammation.” Manuka honey can be taken a teaspoon at a time for a cup of tea, oatmeal, or as a tonic with lemon and ginger. 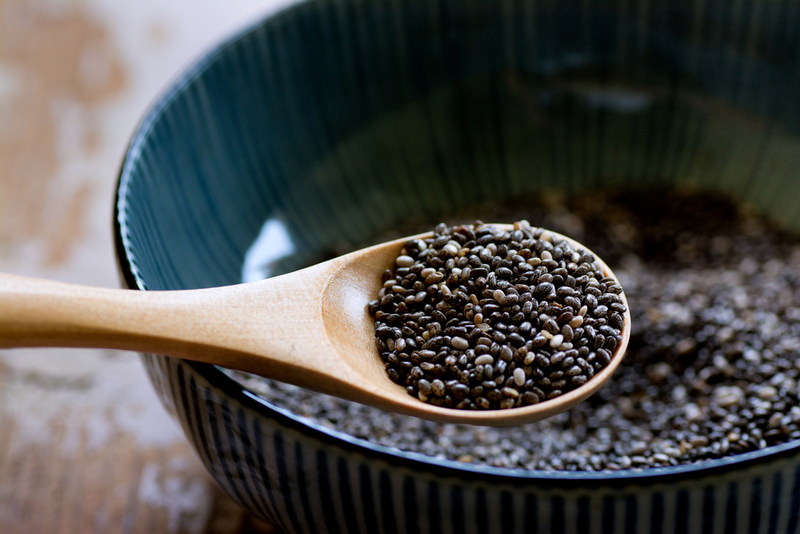 Chia seeds are said to be full of fiber, vitamins, minerals, and essential fatty acids. While not known for helping any specific ailment, the health benefits from fiber-dense chia seeds, from helping with digestion to lowering the risks of both type 2 diabetes and intestinal cancer, offer prevention of various ailments, which is equally as important as future pain management. Besides offering more flavor for any dish it is added to, garlic is said to be a natural antibiotic, according to Jeffries. “Garlic is an antimicrobial herb, which means it can kill off the bugs that cause colds and flus. If you feel you are coming down with a cold, garlic is a powerful remedy, especially raw,” she says. Garlic can be added as a base for stews, sauces, and soups, specifically raw just before you blend the soup and eat it. “Try broccoli and garlic soup when you’re sick,” Jeffries says.